The birthday bash of Rahul Vaidya was a grand affair. It was a flamboyantly splendid party with glitz, glamour, opulence and loads of love for the birthday boy reflecting from the entire preparations that was no less than perfect. 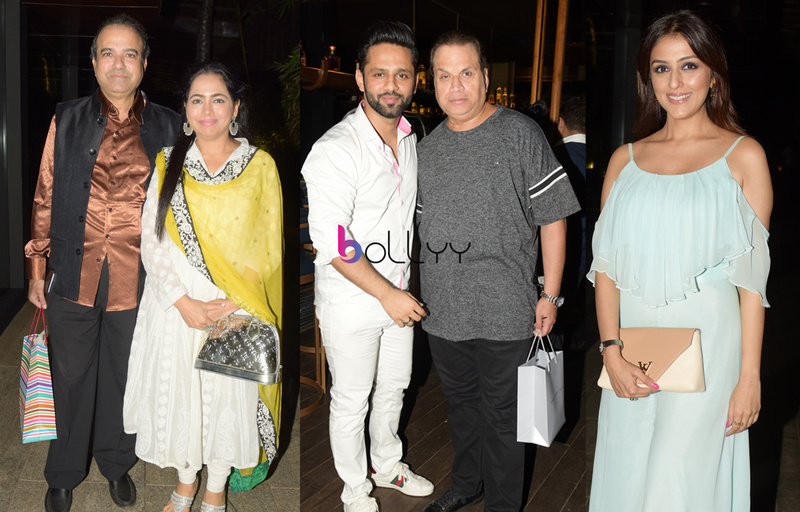 A significant chunk of the television industry and some names from the film arena were seen at the birthday celebrations including Ramesh Taurani, Aarti Chhabria, Baba Dewan, Mohamed and Lucky Morani, Toshi, suresh Wadekar, Varsha Jain, Vanadana Jain, Gaurav PArikh, Ketul Parikh, Suved Lohia, Harshi MAD, Aishwarya Bhattacharya, Mayur, shreyas, and many more. The food was a sumptuous layout of the best that can be imagined. It was a magical feast or so it seemed with the most delicious fare laid down in the most luscious manner. The party was a gourmet lover’s delight with a lovely blend of exotic cuisines; it had the best from across the land.